In an effort to connect city-dwellers with the natural world nearby, and offer a resource for visiting hikers from across the nation and around the world, John McKinney, aka The Trailmaster, has announced publication of his newly updated pocket guide HIKE Griffith Park & the Hollywood Hills: Best Day Hikes in L.A.’s Iconic Natural Backdrop. The guide is bestseller in The Trailmaster Pocket Guide Series, created especially for hikers and designed to fit perfectly in the hiker’s pocket or pack. The Glendale-born author recalls his very first hikes were with his parents in Griffith Park and he still likes hiking the hills with friends, family and out-of-town guests. During his 18-year stint as the Los Angeles Times hiking columnist, McKinney’s accounts of hikes in the Hollywood Hills proved to be among the most popular with his readers. 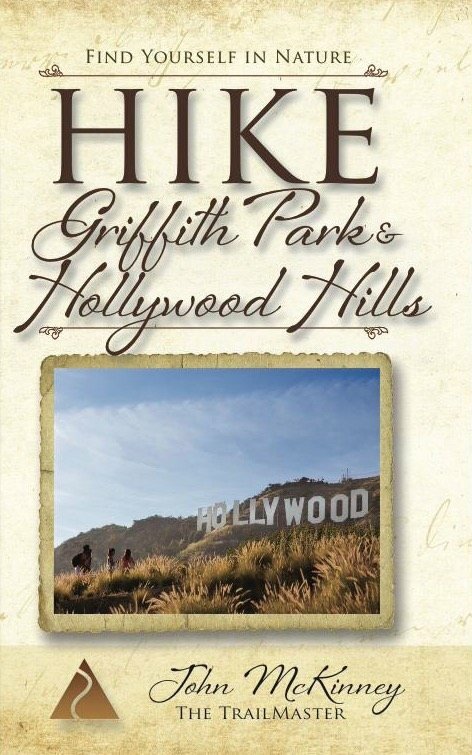 “Three great reasons to hike in Griffith Park and the Hollywood Hills are the variety of vistas, the connection to the film industry and the wonderful diversity of hikers you meet along the way,” enthuses McKinney. Saunter up to Griffith Observatory, stride around Lake Hollywood and trek to the domain of the TreePeople. Get healthy workouts and grand views of the metropolis on ascents to Bee Rock, Beacon Hill and Mt. Hollywood. Hike to Batman’s Cave, Trebeck Open Space, and to dozens of classic and contemporary TV and film locations. 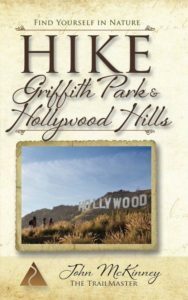 HIKE Griffith Park & Hollywood Hills ($9.95), and other Trailmaster Pocket Guides, including HIKE the Santa Monica Mountains and HIKE the San Gabriel Mountains, and are available from REI and select retailers, Amazon, and TheTrailmaster.com. For more information about other books and talks by John McKinney or interview requests, contact cheri@TheTrailmaster.com or call 805-845-7102.